OK, maybe not all of London. 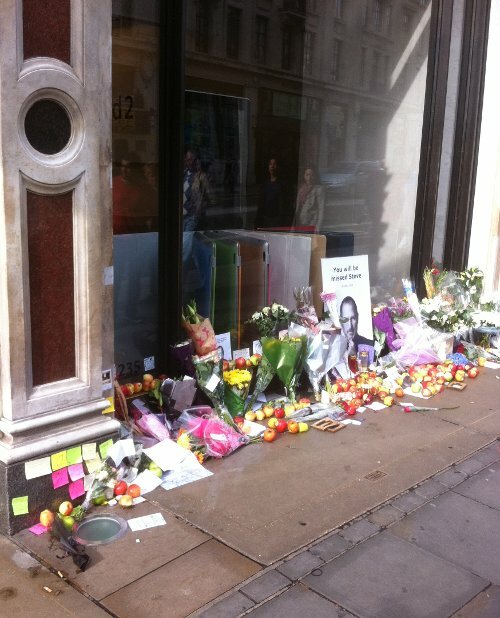 But a good few people have made their way to the Apple Shop in Regent Street to express their feelings about the recent passing of one of the greatest inventors of our time. He may have had his dark side and Apple is – surprise, surprise – a profit-oriented commercial enterprise, but all things considered the world is better off having had Steve Jobs stubbornly pursue his vision. 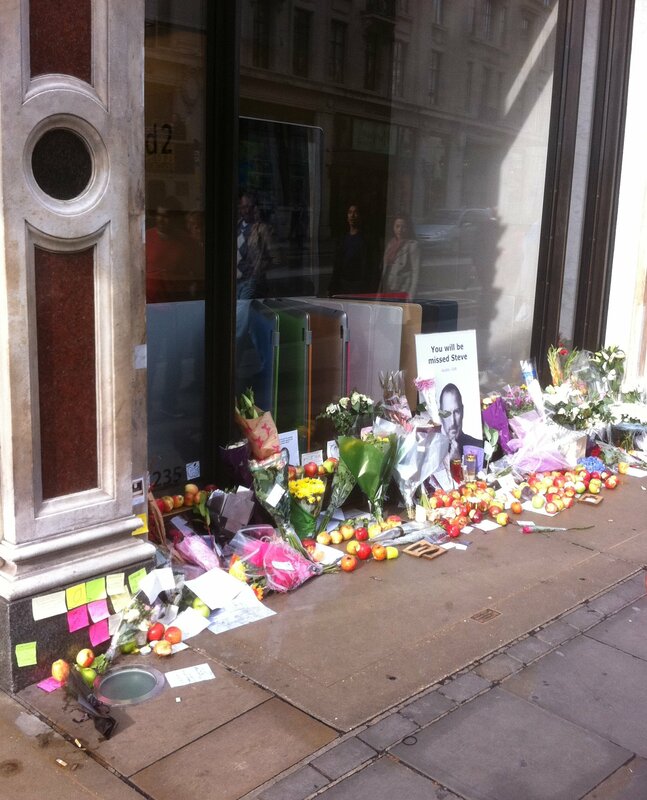 Flowers, posters and apples (!) in memory of Steve Jobs. 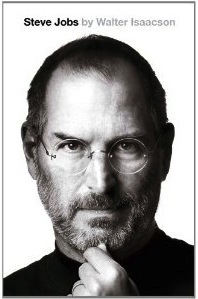 Walter Isaacson’s book about Steve Jobs (to be released 24th October) should prove an interesting read.